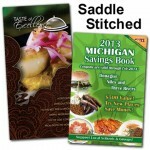 Saddle-stitched coupons books. Taste of Excellence and the Michigan Savings Book. 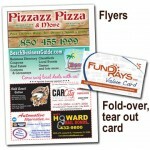 Pizza box flyer and the Fund Rays Value Card pocket sized coupon book.